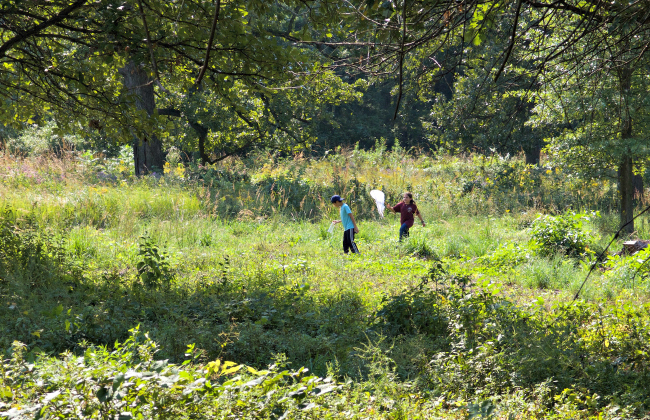 The Kennedy Woods Savanna in Forest Park, just up the hill from Skinker and Rosebury, is an island of native biodiversity amid a sea of human development. 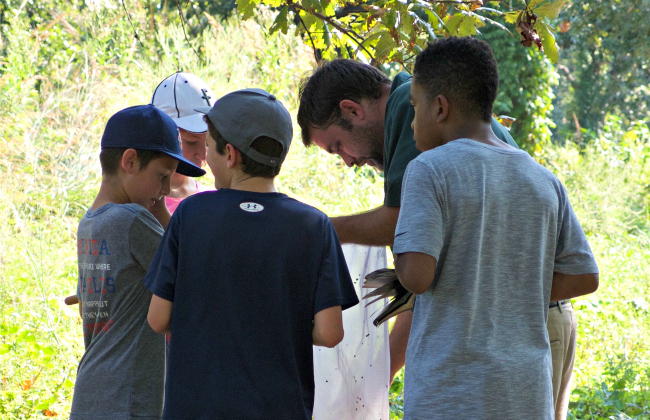 On Thursday, September 20, Forsyth's Grade 6 walked to the Kennedy Woods Savanna for a two-hour experience with the goal of documenting arthropods (animals like insects and spiders) as part of the Academy of Science's BioBlitz in Forest Park. This program is an opportunity for biologists and the public to work together to accumulate data on the diversity of life. Together with three entomologists/biologists from the Insectarium at the Saint Louis Zoo, the students caught insects in nets and re-purposed tennis ball containers. A notable observation included both a black swallowtail butterfly and caterpillar eating on the leaf of a native golden alexander wildflower. The creatures were identified, photographed, and uploaded to the iNaturalist app, where entomologists from around the country can comment on or suggest other identification possibilities for the 35 species documented by the students. The children also practiced their scientific observation skills by drawing the arthropods on cards, which were later arranged and attached to a display board. Arthropods are not new to Forsyth students! In Grade 2, bugs receive a lot of attention as teams set pit traps around campus, recording results on a graph and comparing the data from year to year.